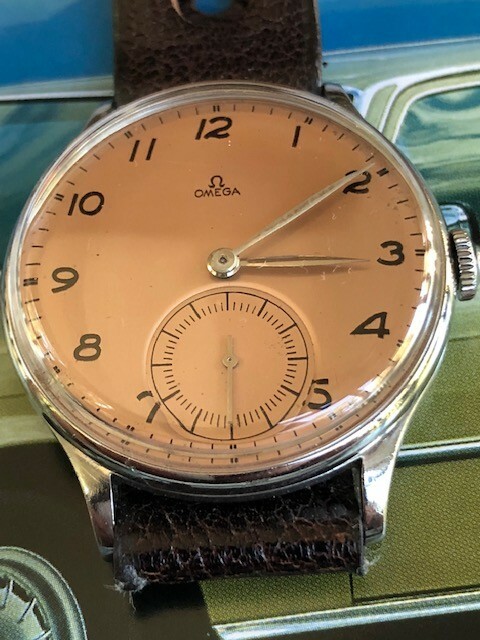 Beautiful Vintage Omega Ref 2317/2 Cal 30T2 - circa 1944. Special salmon color dial. 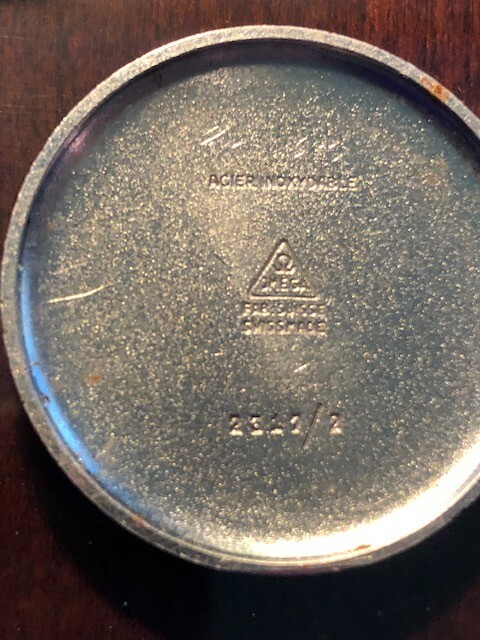 Case is 35 mm without crown. Looks much bigger. 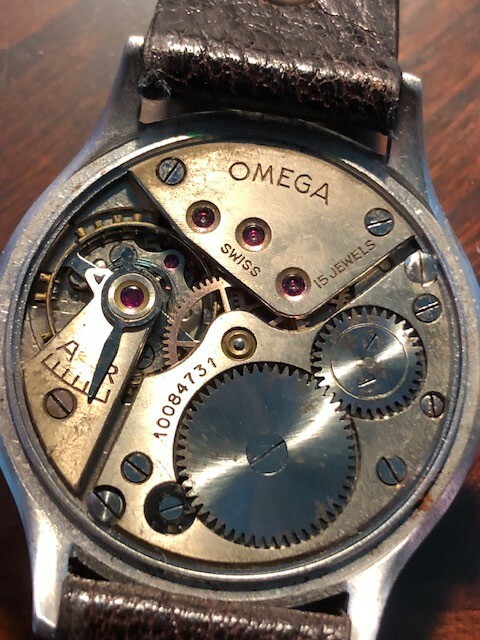 This case was quite large for this period of Omega production. The thin bezel accentuates the surface area of the dial making it appear large. Serial number-10084731. Making the watch about 75 years old! 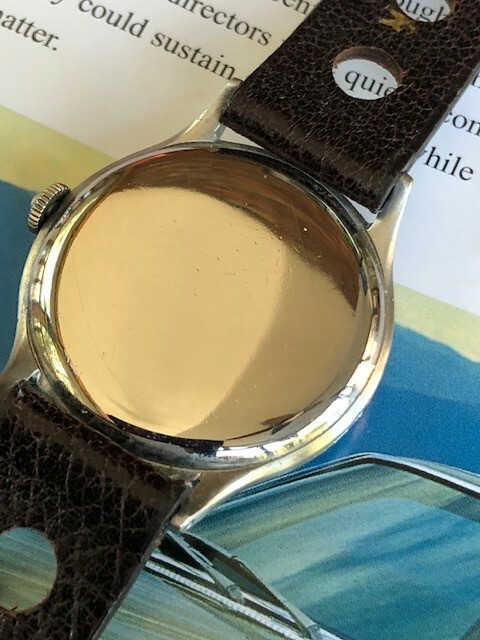 Watch is in excellent condition and is fully functional. Was fully serviced 2 years ago and rarely worn since.